Contemporary dance art will satisfy the curiosity of dance lovers already in pre-festival time on the stage of the Maribor Puppet Theatre and on the small stage of SNG Maribor in the first days of the Lent Festival. The program is varied and diverse, as it aims to present selected projects of the younger generation as well as of experienced and profiled dancers and choreographers. The programme presents premieres of the performances TRAVELLING STONES, performed by the dancers of the ŠIK Plesna izba Maribor, which is artistically led by April Veselko, Monja Lorenčič and Maja Lamovšek; LOOP THE LOOP, choreographed by Maja Lamovšek, performed by Maya, Rebeka Hanžel, and Simona Štangova from Slovakia, and produced by the Dance Centre; and BIRCHES, choreographed and performed by April Veselko and Rebeka Hanžel. The evening brings a taste of the varied and convincing dance poetics of young performers. The second day of the programme hosts the international group of performers, the Balkan Dance Project, Vol.3. BDP dancers build bridges between the peoples of the Balkan region, which are interconnected through the same traditional roots, religion, history, and national art. Exceptional young dancers of BDP will present Ivan Cankar’s burlesque SCANDAL IN ST. FLORIAN VALLEY, choreographed by Aleksandar Saša Ilić and directed by Aleksandar Nikolić (SRB). The evening will also present a project WHY AREN’T YOU HERE, choreographed by Igor Kirov (MKD) and inspired by the music of sevdah. Sevdah music is a unique national musical expression of Bosnia and Herzegovina, intensely intertwined with the spirit of melancholy. 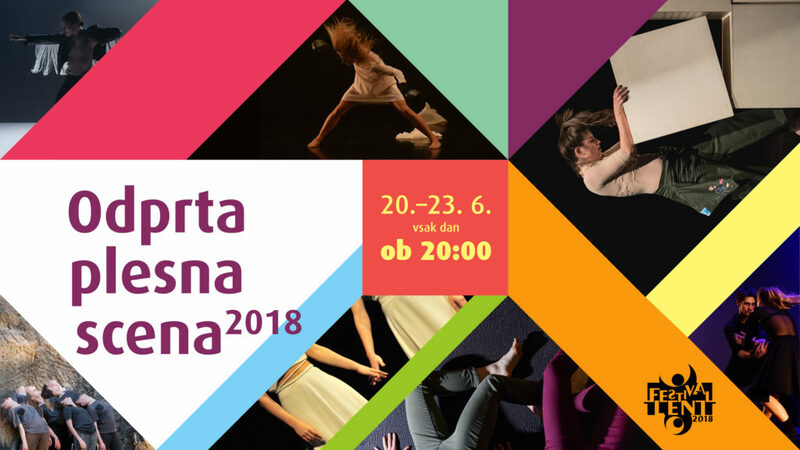 In the first two days of the Lent Festival, the Open Dance Scene will host dance projects of guest artists at the small stage of SNG Maribor. Katarina Barbara Kavčič will present her solo piece SSPJ, produced by the Dance Theatre Ljubljana, which offers the viewers a platform for a different perception of movement on stage, which fluctuates somewhere between abstraction and concretization. The 2018 Open Dance Scene will conclude with a dance-theatre performance MARBLE SHOES, choreographed by Anja Mejač and performed by herself and Voranc Boh. The performance deals with interpersonal connections, more specifically with relationships between men and women, and problematizes the psychological conditions that put the individual in conflicting situations. In terms of the genre, the performance is based on flamenco dance, which undergoes many transformations as the story unfold, while continually shifting between natural and strongly stylised movement. Wordless, with her roots anchored deep in the soil, her only company being the wind, whispering about foreign places. About a dream you can hardly imagine, swishing through thin branches and shivering leaves. The birch is a tree of a faraway promise, forever young and agile, but infinitely grieving. She offers consolation in solitude, softens the edges, and melts the boundary between the sky and the earth. She is one – and all. Micro connections and shared consciousness. Forgetting all memories, having no expectations, this is not a story, it is only a flash of now and here, or never and nowhere. SAILING STONES Sailing stones are a geological phenomenon where rocks inexplicably move and inscribe long tracks along deserted landscapes. The trails they leave behind differ in both direction and length. The rocks, weighing several kilograms, move on their own or simultaneously in groups. The sailing stones phenomenon has been studied for over a century; however, the mystery of the moving rocks remains unresolved. The performance brings together three young choreographers: Monja Lorenčič, April Veselko, and Maja Lamovšek, whose specific choreographic approaches have broken down the theme of the performance in three parts: Time, Dark Clouds, and I Move, Therefore I Am. BDP dancers aim to build bridges between the people of the Balkan region. They are connected through the same traditional roots, religion, history, and art. The exceptional young dancers of the Balkan Dance Project will perform Cankar’s Burlesque. About the performance Contemporary dance – – – Moving. Resting. Human body, multiple possibilities of expression. Walking, sitting, running, looking, hugging, jumping, turning, screaming. A mediator between an individual’s internal universe and surroundings, with an innovative use of the entire body mechanics. Moving the boundaries of the known, and re‑defining the body. Fluidity, boldness, abstraction. Micro feelings in the body. A serious artistic practice with relatively high entry barriers for outsiders? Free mind. Approaching the body with curiosity, acceptance, and without fearing the unknown. Ground. Rolling. Gesturing. Openness for interpretation, openness to misunderstanding. Accessibility. Every day, everywhere. Applause. The project will provide the audience with a platform for a different perception of stage movement, which fluctuates somewhere between abstraction and concretization. We will touch upon the issue of misunderstanding‑understanding of contemporary dance, trying to bring it closer to the wider audience with the help of the elements they are acquainted with: sound, video, text, and concise movement actions. Concept, choreography & dance: Katarina Barbara Kavčič Dramaturgy: Nika Leskovšek Music: Marko Jaušovec (EMVI) Song: Кукла; Mitraljez Set design: Vita Kolar (EMVI) Video: Kristina Rešek Light design & technical solutions: Janko Oven Costume design: Nena Florjančič Creative producer: Katja Somrak Produced by: Dance Theatre Ljubljana – PTL Debut 2017 Co-produced by: KD Center plesa Maribor Thanks to: Boris Revo, GT22, all survey participants & extras The programme of Dance Theatre Ljubljana is subsidized by the Ministry of Culture RS and Municipality of Ljubljana, Department for Culture. Marble shoes is a contemporary dance-theatre performance that combines various theatre languages to form empty spaces for the dance of the soundscapes. To get to the dance, we fall through the cracks of our own psyche only to be captured by the water that prevails. The state of powerlessness makes communication difficult and altered movement through the liquid can be frightening. The performance is based on flamenco dance that undergoes structural trans­formations throughout the performance. Flamenco rhythms merge with original electronic music, fragments of the dance communicate with spoken words, com­bining various forms of expression into a whole. Movement and voice, the dance of the sounds that replace words, the dance that finds a word and forces it to answer with a cry, the form that absorbs words, the voice that guides the movement. Sometimes trapped, sometimes support­ed by the rhythm, sometimes completely free.